MIMS–Almost everyone knows someone who is colour blind, or more accurately, colour deficient. In fact, colour blindness affects one in 12 men (8%) and one in 200 women, while one in every six women is a carrier of the gene that causes it. 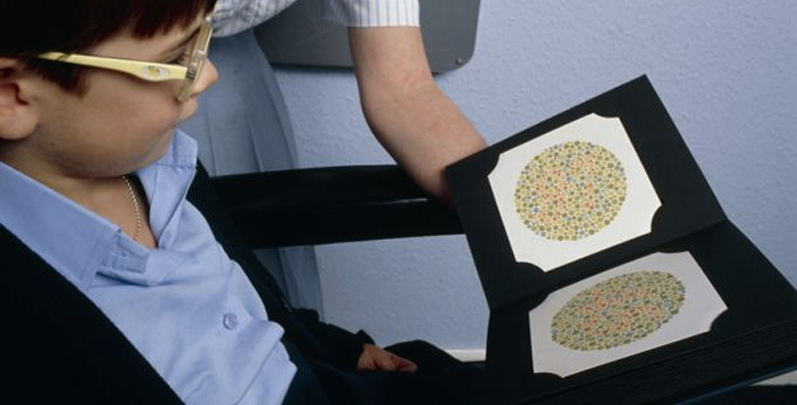 Colour blindness is also more prevalent in males than in females as the most common form of defected colour vision is coded by a gene on the X chromosome. As such, fathers are unable to pass it down to their sons but are able to pass it to their daughters. The three types of colour blindness – protanomaly, deuteranomaly and tritanomaly – have eight specific variations and four degrees of severity – slightly, moderate, strong, and absolute. Generally, people with protanomaly and deuteranomaly colour blindness find it hard to tell the difference between blues and purples or pinks and grays. Greens, yellows, oranges, reds and browns are all a range of similar colours especially in low light. Tritanomaly is much rarer and those who suffer from it have problems with the blue-yellow spectrum, seeing yellows as pale pink and greens as purples. In other words, people with colour blindness can only see about 5% to 10% of the normal colour vision. Studies have also shown that people with colour blindness may react up to 30% slower to colour coded information, which affects their ability to drive or ride a motorcycle. Approximately six million retinal cone cells make up the retina and each cell is ‘colour specific’, which responds to light of specific wavelengths and frequencies. Three different types of cone cells correspond to three primary colours: blue, green and red. When coloured light is reflected into our eyes, the cone cells pick up on the different wavelengths and frequencies, and processes it to become nerve signals which can be transmitted to the brain via the optic nerve. Those who suffer from red-green colour blindness have their red and green cone cells overlap each other more than the usual, making them unable to see certain colours. As such, yellow and red traffic signals may be indistinguishable especially at night and green lights appear white or pale. There are currently no treatments available for colour blindness; however EnChroma – a sunglasses brand – has taken the Internet by storm with its new glasses that allow the red-green colour blind community to see colours like a normal person. Videos of the emotional reactions of colour blind individuals wearing the company’s new glasses have gone viral. The company has created a method known as ‘multinotch’ filtering, which eliminates sharp wavelengths of light to enhance specific colours, thus separating the overlapping red and green cones to allow a red-green colour blind person to see those colours properly. This technology was created by Don McPherson, who has a PhD in glass science from Alfred University. The glasses were a stroke of serendipity when McPherson was in the midst of designing protective eye wear for doctors performing laser surgeries. In 2005, McPherson asked his friend who happened to be colour-blind to try on the prototype glasses during a game of ultimate Frisbee; that was when he realised what he had created. Since then, McPherson was funded by the U.S. National Institute of Health and subsequently co-founded EnChroma with computer scientist Andrew Schmeder who he worked on the later prototypes of the glasses with. With the videos going viral, the colour blind community around the world has been trying to get a pair of the glasses. The company does stress that as colour blindness varies between each individual, it may or may not work for some individuals and it is definitely not a cure. So does that mean the colour blind must rely on gadgets and technology forever to see colour? In 2009, Jay Neitz and Maureen Neitz, who are both professors of ophthalmology at the University of Washington had successfully treated colour blindness in monkeys using gene therapy. However, many limitations apply for human trials. The internal perceptions of what the colours are like is still unknown in the monkey; thus, researchers cannot determine whether any psychological side effects might result from humans who are suddenly gifted with vision of a new dimension of colour. Gene therapy also involves risks associated with the viral vector and therapeutic transgene being injected, as well as the surgical procedure of subretinal injection itself, which is complicated and risky, and can include side effects such as irritation or infection as well as permanent retinal detachment and blindness at the injection site, according to the Neitz website. However, the Neitzes have developed a new treatment that uses an injection of an adeno-associated virus that has no ill effects on humans, to transport the genes into the cone cells of the retina, which looks promising if all goes well. Human trials will then be able to begin as soon as 2017. Together with Avalanche Biotechnologies, the delivery method for the gene therapy is being developed with testing underway. An injection of the virus carrying the gene is injected into the clear fluid in the centre of the eye and the virus navigates its own way to the correct part of the retina. If the treatment does work and is approved for use, those with slight or moderate colour blindness could be cured with a single visit to the ophthalmologist. The team is optimistic about this procedure but agrees that more testing is needed to find out if treatment at the retina is adequate. Sometimes colour blindness is caused by the optic nerve and for full colour vision, the brain has to understand the information that is relayed by the retinas. As such, for colour blind individuals, their brains may have developed differently as they grew up. According to the Neitzes, the most critical barrier in moving the treatment forward would be ensuring its safety for human patients.